We are prepping to send out a crew to the MDRS comprised of Shannon Norrell and Az Balabanian who are flying from San Francisco, Robert and Stephen Madsen from Synaptix Games (also long-time Mars Society folks and past MDRS volunteers) in Grand Junction, CO, Ben Skogen from AeroScout in Grand Junction, and Casey Wheeler with GeoRanger, also from Grand Junction. Our goal is to fully scan the MDRS next week including the facilities inside & out and the terrain using drones. I’ve arranged to send out several pieces of hardware to help them, including a sophisticated LIDAR unit that’s used in the construction industry, and we will also have an amazing Matterport 360 degree camera on loan from that company. Today I also learned we have been approved by Microsoft to be a preferred developer of Windows Mixed Reality (which is the new name for the team working on Hololens) and they are sending us a kit including free hardware. I’ve been working to get this type of recognition from Microsoft for over 9 months, so this is a huge and deeply personal accomplishment for me given the experiences I’ve had related to Microsoft both recently and across my career. My first job ever was working on Microsoft Office as a PM fresh from college, and I’ve talked at length about my experience last year with the Hololens units at JPL and how they inspired the MarsVR project. 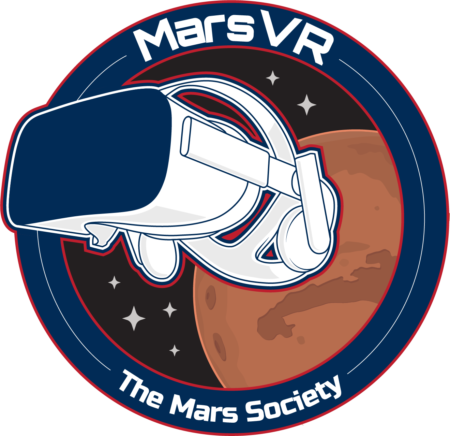 This week we were featured in the Red Bull blog and I also did an interview with a Denver, Colorado magazine, which will have an in-depth article about the Mars Society & MarsVR coming out soon. We will continue to get more press as this project goes on, because it is touching a nerve in the VR and Space communities, not to mention STEM education! All of what we are doing and planning to do has been very well received, and it humbles our team to know that we may make a real difference with public outreach towards increasing interest in the human exploration of Mars. I am hopeful we will get the majority of our Photogrammetry and terrain models captured with this trip, and we will also be documenting (via video) what we’re doing at the MDRS in the hope that we can help create a short film about the project. Until next time, I’ll see you on Mars!